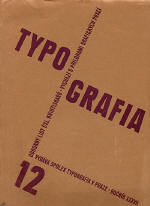 Cover of "Typografia," prosince 1930, Ročník 37, Číslo 12 (December 1930, Vol. 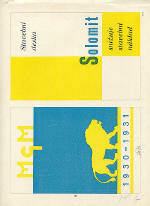 37, number 12) - Technical Journal of Czechoslovak Printers. 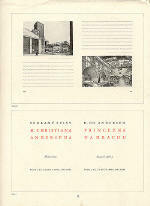 Design sample from "Typografia," December 1930. Advertisement for AEG, signed "Kravčík." Design sample from "Typografia," December 1930. 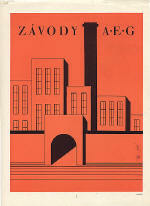 Top, advertisement for a factory, signed "Kravčík." Bottom, book covers, signed Lasák. 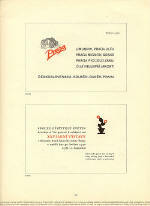 Design samples from "Typografia," December 1930. 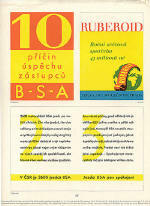 Book covers, signed Bilík. Design samples from "Typografia," December 1930. Advertisements, top left, bottom, signed Štĕpánek. Top right signed Bitner. 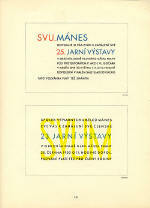 Design samples from "Typografia," December 1930. Announcements, unsigned. Design samples from "Typografia," December 1930. 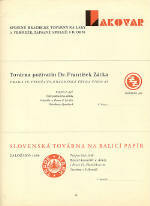 Announcements, top, signed Honák, bottom, signed Severin. Design samples from "Typografia," December 1930. Advertisements, top, signed Bitner. Bottom, signed Bleha.